This album is full of horrible, heartbreaking things. Things that happen not just to bad people but good people, too. Of course, by the time a few of Charmer’s songs have passed by, the lines between good and bad become so blurred that the infinite subjective becomes the only rational paradigm. Perhaps perspective really is everything. Perhaps there’s no such thing as “good” or “bad” people, only those who shift from righteous to rakish and back as the people and situations around them revolve. Only those who suffer and struggle through the confusion, alternately trying their best to transcend it and flailing recklessly through time and space with no regard whatsoever for anyone—least of all themselves. It’s hard to say where this record’s the titular charmers fall on the spectrum at any one time. They draw us in with their winning personalities, make us feel cool and important and alive, then they feed off of our adoration and prey on our weaknesses. Should they weather a seething shitstorm of retribution or collapse into the feather-soft bed of our compassion? Safest bet is that in their darkest, most secret moments, these charmers face the harshest retribution of all—choking on self-loathing, terrified at the possibility that they’re nothing more than empty frauds. Shot through with distant, luminescent synths, Charmer teems with loss and loneliness. Failure and isolation. Insecurity, paralysis, vanity and impotence. With people who would not dare eat a peach—not in a house, not with a mouse, not here or there, not anywhere. In the paradoxical world of Charmer, we are careless, cruel lovers. We are the heartless, selfish liars, and we are the adoring yet broken supplicants, longing to be embraced, waiting for a love that will never be returned. In the world of Charmer, we are all special—even Chuck Palahniuk. We are all beautiful and unique snowflakes. Yet we are all painfully the same. In our world, Aimee Mann is a singer/songwriter from Richmond, Va., and we are—at once—all 13 ways of looking at a blackbird. Aimee Mann’s music is the sting of the open wound. It is the detached—and entirely necessary—opiate catatonia, dulling the pain. Aimee Mann is an observer, a fly-on-the-wall who can’t seem to peel even one of the 1600 ommatidia of her compound eyes away from the emotional carnage. 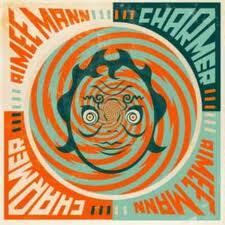 Aimee Mann is responsible for one of the most uncomfortable experiences of my life. A Valentine’s Day show she played at Atlanta’s Variety Playhouse. One I attended with a longtime girlfriend with whom I was in the midst of a particularly bleak break-up. We writhed in our seats, each verse burning itself into our ears, mercilessly soundtracking the dissolution of our two-year relationship. Aimee Mann’s hand is not on the knife, but she’s sure enough twisting it—with her words. She’s twisting it with the best of them. She is the Chubby Checker of doomed-love ballads. Aimee Mann is a medium, a messenger. Don’t shoot her. There are so many reasons not to shoot her. She is innately tuned into our fragility and resilience. Like the Velvet Underground’s Nico, she’s our mirror. Through her songs, she reflects life as it so often is—a contorted, gasping mess—but somehow she still finds beauty in its imperfection. On Charmer, she hints at the dangers of black-and-white absolutism, subtly suggesting we look closely at all sides when trying to understand what motivates people. And in “Crazytown” she sounds alarm bells over the co-dependent nature of dysfunctional relationships—how the same passion and fire that initially draws us to someone can be their undoing, and ours, too. There’s also the undeniably cool way she spells her name (A-I-M-E-E M-A-N-N). Which is much better than “Amy Man.” Plus, if my hypothesis is correct, she’s an amateur psychologist—an avid, self-taught student of the human psyche. On “Disappeared,” Mann bravely confronts the severed bonds of fading romances and friendships—the tragedy of ending up utterly disconnected from someone with whom we were once intimate. As we age, it’s bound to happen. People grow apart, change, fall out of love, move, move on. Sometimes they’re wounded so badly they immediately slap you into an unflattering new box—“the cue of people dead to you,” as Mann calls it. In the song “Gumby,” she holds her mirror up to all varieties of ugliness, but also suggests reconciliation and taking decisive positive action before it’s too late (“Gumby, you should call your daughter again”). And fueled by her mix of intrigue, tenderness and morbid curiosity, she delivers Charmer’s title track as both a scathing indictment and an empathetic character study. These are the things that have always set Aimee Mann apart—wonder, empathy, attention to detail, a burning desire to understand the complexities of human behavior. All are present in Charmer. And the music follows suit, down to the atomic level. The distance and reverb hint at the isolation of the characters in her songs. Her detached singing tempers the harsh realities of her lyrics, the sighing resignation of her voice lending them a weary tragicomedy, making it possible to shrug off disaster and carry on. And those synths—those lonely, shimmering machines, their synthetic tones weaving around the organic sounds in telling juxtapositions, spotlighting the mysterious ghost dance between real and imaginary, the genuine and the duplicitous, perception and reality. Between deep despair and inexhaustible hope. The simple fact that Aimee Mann continues writing songs around these distressing observations and putting them out on such achingly beautiful records seems proof that—despite all the twisted, cutting truths she’s spied under the lens of her artistic microscope—she still somehow clings to the sable cloud’s silver flash. Even though we may never truly know anyone, including ourselves—even though each of us is an inscrutable riddle, Aimee Mann hasn’t given up trying to understand, to empathize and shed light.